Come and Sign Great Songs of the Four Nations. All welcome: just turn up. 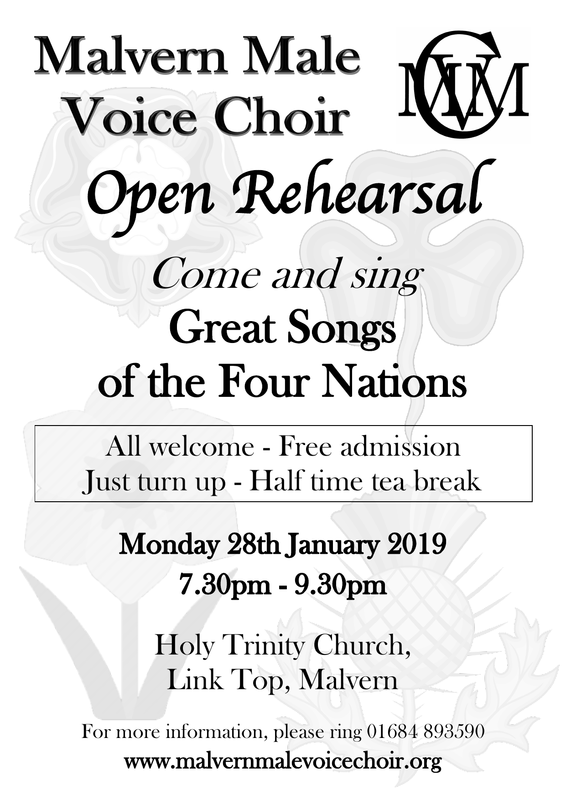 7.30pm-9.30pm Monday 28th January 2019, Holy Trinity Church, Link Top, Malvern.